Allow us to ensure your property reflects your professional business – with attention to detail and high standards. 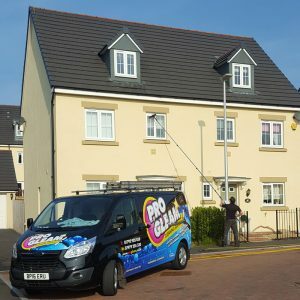 From your roof to the ground we cover all aspects of property cleaning – always going the extra mile for our customers. We will ensure we produce the best results possible. We understand the importance of maintaining the appearance of your organisation and are committed to delivering a service which exceeds your expectations every time. We provide Jet/pressure washing and Steam cleaning services that are extremely effective at removing all grime and dirt. Bring your carpets back to life. 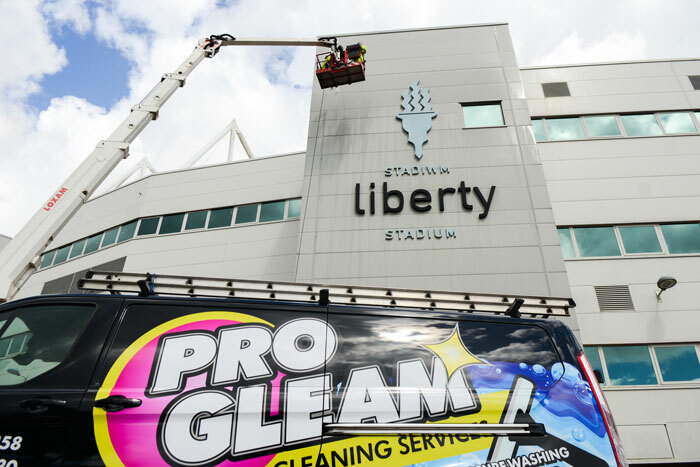 Progleam are an established cleaning services company based in Swansea, covering all areas of Swansea, Cardiff South and west Wales. 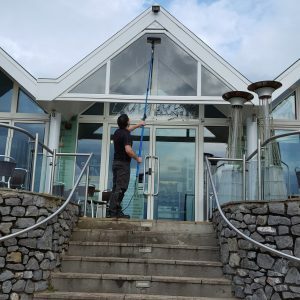 We welcome all enquiries, from window cleaning to full service commercial contracts nationwide Our Passion for delivering results whilst remaining cost effective has allowed us to perform on a consistent basis across all regions and all sectors. With years of experience and a culture of integrity and professionalism you can rest assured that we are a partnership you can trust, our credibility as a business has secured us contracts with a wide range of clients including large national coffee chains and hotels as well as other household brands and not to mention well known celebrities. We use the latest in pure warm water technology, which results in a spotlessly clean, smear free finish for you to enjoy. 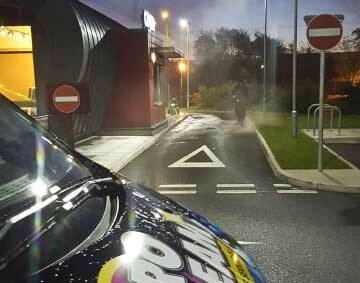 Maintaining the appearance of your premises gives a good impression to your customers, visitors and members of staff. At Progleam we understand the importance of maintaining the appearance of your home and are committed to delivering a service which exceeds your expectations each and every time. 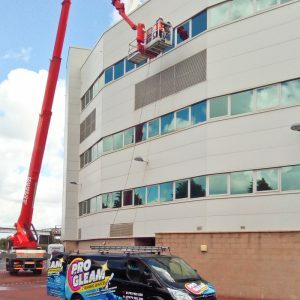 At Progleam we are prepared for events that sometimes happen outside of your control, this could an emergency be due to a flood or fire or simply you require a thorough deep clean in preparation for an important visit or special situation. 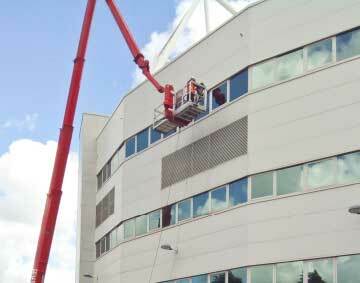 Progleam were delighted to have the opportunity to provide a thorough cleaning of all external areas of the stadium. This project involved many cleaning techniques and equipment to provide the ultimate professional result to the client. Progleam deliver a streak free clean to the brasserie on a regular basis; so that when customers visit, they can fully appreciate the restaurant and its stunning surroundings. This detached home in Killay, Swansea, requested several different services from Progleam, situated next to a woodland area there was a requirement for moss removal from patios, paths and a driveway. 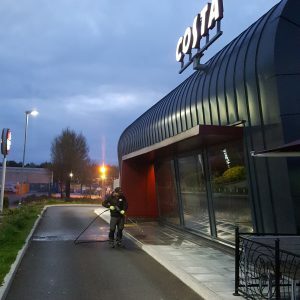 Progleam has had the pleasure of cleaning the exterior of multiple Costa franchises across South Wales and South West England. Satisfaction Guaranteed with our Progleam Quality monitoring system, allowing you to leave feedback after every clean! 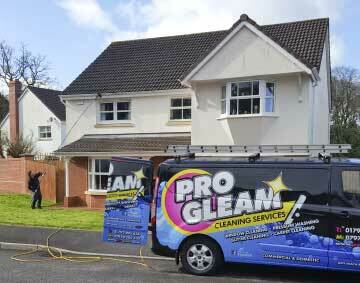 Progleam turned up & cleaned our Windows through recommendation when I met Dan he was very polite professional had smart uniform van & professional equipment. We have now signed up monthly we were that impressed with his workmanship.